Work history: I began my construction safety career in 2004, as an assistant safety director at Acme Constructors, Inc. in St. Louis. I gained valuable knowledge about the construction industry by assisting with project safety compliance issues for estimators, managers, superintendents, and subcontractors. In 2006, I took over as full-time Safety Director. I assured OSHA safety compliance for projects consisting of steel erection, precast, and equipment fabrication and installation. In 2010 Acme Constructors began work on projects in the mining industry. Working on these projects required MSHA training and certification for all Acme Constructors employees on MSHA sites. To meet these needs I attended training from the Missouri Department of Labor – Mine and Cave Safety Division to become an approved MSHA instructor. In 2013, I accepted the position I hold today as Quality Control and Safety Manger at Acme Erectors, Inc. My main focus is managing quality and safety issues with AISC, AWS, ISNET, OSHA, ACOE and striving to consistently deliver a high level of safe service and excellent product quality. I am hands on with projects, from preplanning preparatory meetings to jobsite audits. 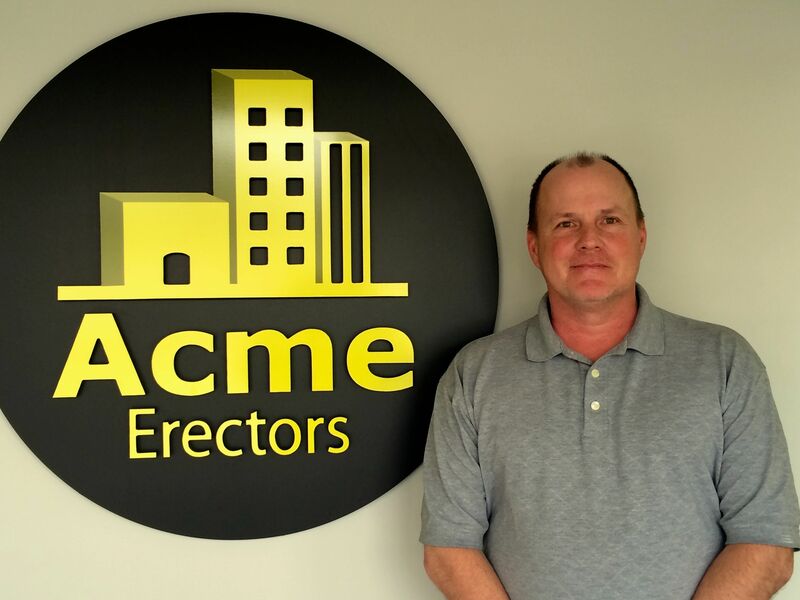 I enjoy my position and am continually striving to make Acme the best and safest steel erection subcontractor in the business. Favorite thing about working at Acme: The professionalism of my coworkers. Home and family life: I am a single father of my beautiful 6 year-old daughter, Ava and live in Manchester, MO. Acme’s 2014 EMR is 0.78! Acme Erectors is proud to be one of Saint Louis' largest steel erection subcontractors. With a company history dating back to 1947, we are also one of the oldest erectors in the area. Our experienced staff is committed to delivering exceptional service and quality on jobs of all sizes.